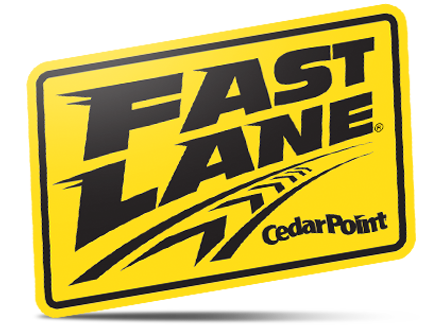 Our goal is for you to have a safe and enjoyable visit to Cedar Point Shores Waterpark. This page will provide you with relevant information to make the most of your day. If you have any additional questions regarding your visit to Cedar Point Shores we would love to help! Please contact a park representative. We look forward to seeing you at Cedar Point Shores! Guests wearing bathing attire with metal buttons, rivets, zippers, or snaps will not be permitted to ride Point Plummet and Perch Plunge. Footwear is not permitted on Cedar Point Shores attractions. If you do not have appropriate bathing attire, swimsuits and other aquatic gear can be purchased at Sandals. Glassware and similar material with a tendency to shatter on impact are not permitted in Cedar Point Shores. Cedar Point Shores is a smoke-free environment. Smoking is only permitted in designated smoking areas. According to crowd size, time at the water attractions and access to Cedar Point Shores may be limited. In an effort to provide a safe and enjoyable water park experience for our guests, Cedar Point Shores routinely utilizes training exercises to improve our lifeguards’ skills and vigilance. These exercises will occur during normal operating hours and may consist of the following: submersible water mannequins, the use of video surveillance equipment, internal and external audits, active/inactive water rescues and/or first aid scenarios. Cedar Point Shores provides a full day of fun in the sun! To make the most of your day, be sure to drink plenty of water in order to avoid heat exhaustion. Drinking fountains are located near each restroom. Don’t forget to apply sunscreen frequently throughout the day. If you happen to forget your sunscreen, Sandals merchandise location has a variety of sunscreens available for purchase. Life jackets are available for use throughout Cedar Point Shores. Life jackets are complimentary and are available to any guest wishing to use one. Children, first-time swimmers, and weaker swimmers are encouraged to wear a life jacket. Life jackets are available for all guests needing special consideration. 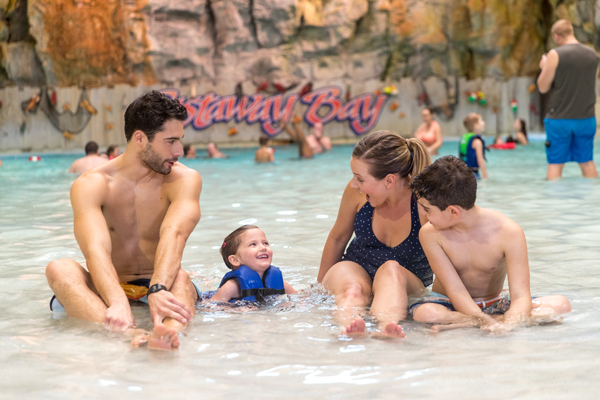 Some attractions require children below a specific height to wear a life jacket before participating in the attraction. Aquatics staff and lifeguards reserve the right to impose the use of life jackets as needed. For specific attraction requirements, please see the Cedar Point Shores attractions listing. Guests are permitted to wear their own life jacket; however it must be Coast Guard certified. The First Aid Station is located near Subway. If you need any assistance during your visit, do not hesitate to stop by the First Aid Station, or notify the nearest lifeguard. Our team would be glad to assist. Upon arriving, we recommend selecting a meeting place such as the Cedar Point Shores Main Entrance, in the event you or your child becomes lost or separated from your party. In the unlikely event that your child becomes separated, please alert an associate or go to Cedar Point Shores Information Station located by the front gate. If you happen to lose an item or leave an item behind while visiting, please go to Cedar Point Shores Information Station during regular operating hours. After hours, please visit Lost and Found located outside of the main entrance to Cedar Point. Cedar Point Shores is committed to providing all of our guests with an enjoyable visit. Guests with disabilities are encouraged to visit our Guests with Disabilities page for detailed information on the requirements of each attraction, along with the programs that Cedar Point and Cedar Point Shores offer. A water wheelchair is available for guests requiring additional assistance when at Breakwater Bay. The water wheelchair may be used by multiple guests on the same day. During your visit, please speak to a member of our Aquatics management team at Cedar Point Shores Information Station to obtain access to the water wheelchair and for further accessibility information. For your convenience, lockers are located next to the main gate, Breakwater Bay, and Crosscurrent. Various locker sizes are available for all of your personal belongings. Locker rentals are automated and can be paid using credit cards. Debit cards cannot be used at this time. The lockers work with electronic pin codes and will allow unlimited access throughout the day. 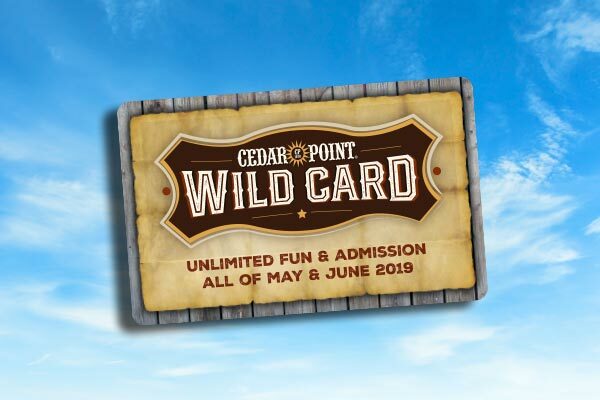 Locker access is available until Cedar Point Shores is closed for the evening. Cedar Point cannot be held responsible for lost or stolen items.